I didn't truly appreciate Shanghai until my second visit, earlier this year. 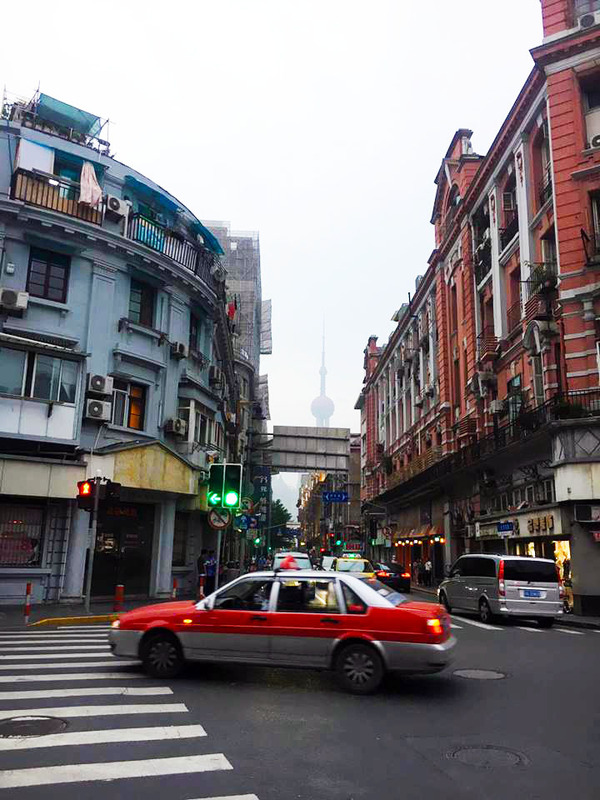 The first time around, I struggled with the food, the smog was a lot to handle and the culture shock hit me like a tonne of bricks, but second time around, I saw a whole other side to Shanghai, and learned a lot that I'd like to share. While I'm no expert on Shanghai or Chinese culture, having visited twice now and having met lots of locals, I thought it might be good to share my top 10 tips for travelling to Shanghai, China. If you come from somewhere like the UK, or you have never visited the Far East before, you will definitely experience some level of culture shock in China. Culture shock is hard to define, but for a lot of people with me on my most recent trip to Shanghai, it came in the form of anxiety, feeling disconnected and a little homesick. Then, once you get over that initial feeling, you become fascinated with the place and everything about Chinese culture. 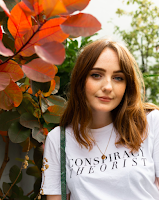 There's not much you can do to avoid culture shock, but my advice is to try to recognise what is happening, embrace Chinese culture as much as you can, and really study the differences between there and wherever you call home. In time, you'll learn to live with it and even appreciate it. Just be prepared.You can download a chapter of the Lonely Planet China travel guide, 'understanding China', to start you off. To start, I have never been the biggest fan of Chinese food (hello, fussy vegetarian, nice to meet you), and that hasn't changed since visiting Shanghai. 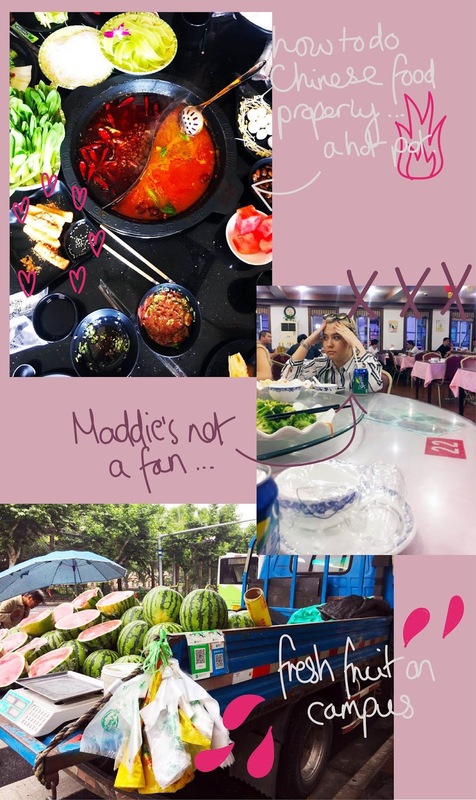 I think if you're an adventurous eater, you could love Shanghai's food scene, from the fancy restaurants to the street food, but if you are veggie, vegan or have a nut allergy, you will struggle, especially on a low-mid range budget. Whenever I visit China, my diet consists of boiled rice and Maccies chips, which is neither cultured or nutritious, but a girl's got to eat. Of course you can't expect other cultures to cater for everyone, but note that vegetarianism isn't really much of a concept in China, never mind veganism, with the exception of some trendy restaurants along the Bund. A good trick I learned is to explain that you have a buddhist diet, so no animals, fish, etc. in your food. Get this translated before you go and have it saved on your phone - it will come in very, very handy. Saying this, during one particular meal on my last trip, I stepped outside my comfort zone and tried lotus root and these sticky desert things (they're Shanghainese and I can't remember the name of them - argh), and was pleasantly surprised! Like many Asian countries, the traffic in China's large cities is hectic. Don't expect cars to stop for you, or even slow down, no matter what colours the lights are. You've just got to keep your wits about you and be as careful as you can. My advice? There's safety in numbers. As a non-local, I have found it very difficult to get taxis in Shanghai, and this got noticeably more difficult in 2018 compared to 2015. Having spoken to a few locals, I learned that about 90% of the taxis you see on the street are pre-booked through China's equivalent to Uber, so even if their cab is empty, it's unlikely they'll stop for you. Oh, and to download this app, you need a Chinese phone number, so maybe consider getting a Chinese SIM card. Saying that, there are a few taxi ranks outside international bars and at attractions like Disneyland. Just have the address of the place you are staying written down in your language and in Mandarin, and you shouldn't have any problems. 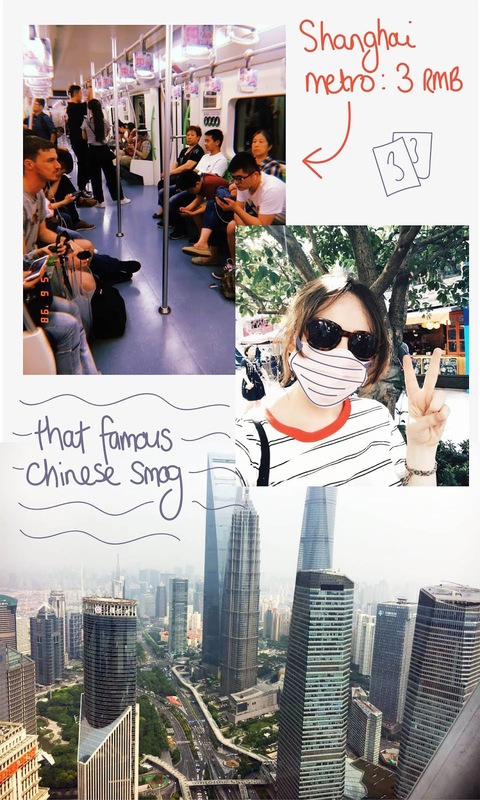 Something many westerners experience in China is staring and/or many, many selfie requests. I've heard of this in other countries, too, but in Shanghai is where I've experienced it most. Whilst you might think it's rude to blatantly stare at someone, demand a selfie with them, or shove a camera in their face, it's important to remember that 9 times out of 10 it is not coming from a malicious place. At times, the group I was with did feel uncomfortable, especially when one man decided to touch my friend's braids, but the only thing you can do is say "bu, Che Chien" which means "no, thank you" and walk away. It can be amusing, it can be annoying, but it's something to be aware of. It is well known that major Chinese cities like Beijing and Shanghai have very high levels of pollution. You'll see this for yourself, as you go to take a picture of Shanghai's stunning skyline only for it to look like a misty morning. If you're going for a short period like a few weeks, you should be fine, however if you have asthma or anything related, please, please remember to keep taking your inhalers! Keep them with you at all times and check the pollution levels on the weather forecast each morning. You might notice a few locals wearing pollution masks, available in supermarkets or cute accessories shops (try Mumuso on West Nanjing Road). As long as you're using them to keep your lungs clean and not for anything else, knock yourself out. I wore mine for a few hours and did genuinely feel cleaner for it, for want of a better word. There are several main languages in China, one being Mandarin. In Shanghai, many people speak Mandarin, but they have their own dialect known as Shanghainese. I've tried to learn Mandarin a couple of times, but it is HARD. There's different tones and each tone means a different word entirely, which can be hard to master. As of right now, all I can say is hello, no and thank you, but I hope I'll learn more before my next visit. For everything else, I used Baidu translate app, because remember, Google is banned in China. If I didn't have data or wifi, I would have a few useful phrases already saved on my phone. Shanghai is the shopping capital of China. The Shanghainese sure can shop, from the black markets to the likes of Gucci. On my last visit, I picked up a pair of cat eye sunglasses (matching with Maddie from Steel Chiffon) and some cute novelty t-shirts from a local mall near Guilin Park. 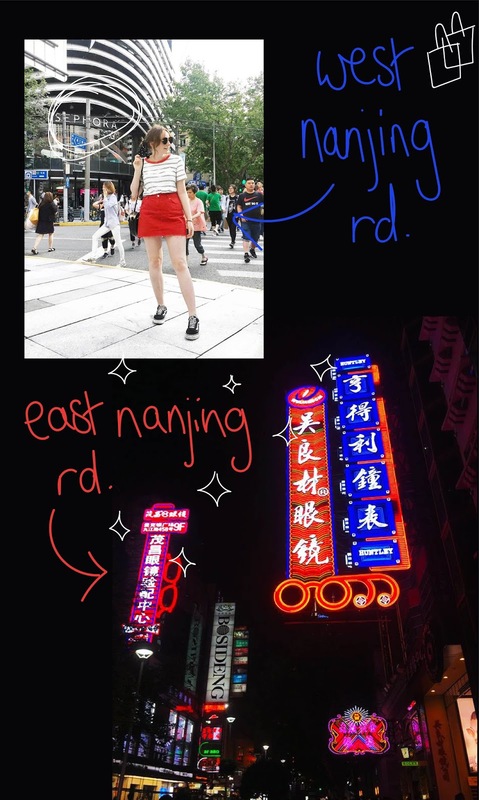 For your first trip to Shanghai, my top shopping recommendations would be Hongyi Plaza, the K11 art mall, the fake market at Shanghai Science and Technology metro station (yes, it's actually in the train station) and both ends of Nanjing Road. Just remember, when you're in a market, haggle like you've never haggled before. You might even get a bag thrown at you like Maddie did. Of course, many of our favourite apps like Instagram and Twitter are banned in China, but most tourists download a VPN app before they go to access them whilst they're away. Most people are understandably nervous of using a VPN in China, but you'll see most tourists using them without any issues. Of course you should be sensible when considering what you're sharing on social media during your visit, but you don't have to go without during your trip. If you want to get stuck into how the Chinese do social media, download WeChat. We have so much to learn from this app. It's WhatsApp, Twitter, Instagram, Facebook and Apple Pay all rolled into one. You'll see lots of locals using the app to pay for stuff, but you need a Chinese bank account to do so, so cash it is. On my first visit to China, I admit, I got frustrated at people pushing in front of me, not smiling or saying thank you when I held the door, etc. and written this off as simply people being rude, but I was wrong. It's only when you go somewhere with a culture completely opposite to that of the UK that you realise, actually other cultures aren't rude, we're just ~super~ polite. Yeah, it took me 20 years to figure that out, but it was comforting to remember my second time in Shanghai. You might have to deal with pushing and shoving on the metro, and you might deal with people coming into the lift before letting you out, and you might experience people spitting in the street, but the sooner you accept that this is just part of the culture, the easier you will find it, and the more patient you will become. You might miss the sweet, sweet etiquette of a good queue though. 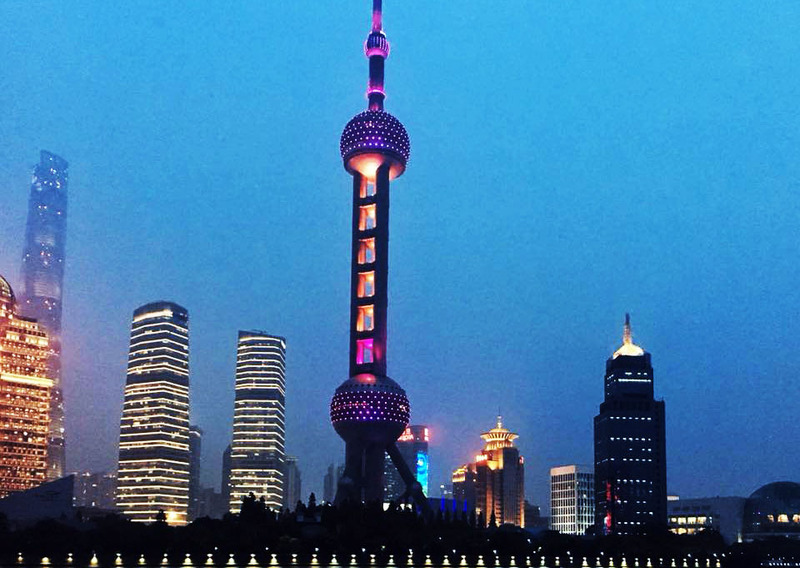 That's it, these are my top 10 tips for travelling to Shanghai, China. Hopefully they come in useful and help you have the best trip possible, let me know if they do! If you have any other travel advice to share, make sure to leave it in the comments below. If you want to hear from the professionals, you can order the Lonely Planet Shanghai travel guide, or the China travel guide if you're travelling through more of this fascinating country.